We're getting close—oh, so close—to being able to shed more light on Earth-size exoplanets. So far, we know of about 30 sitting in their stars' habitable zones, where liquid water can exist. With the next generation of telescopes coming online in 2019 and beyond, we might finally be able to figure out what's happening in their atmospheres. Imagine we look at one of these worlds and see Earth-like ratios of nitrogen, oxygen, carbon dioxide, methane and ammonia—a perfect blue dot that, as far as we can tell, looks just us. Seriously, imagine! Earth 2.0, right in our celestial backyard, possibly hosting a range of unimaginable flora and fauna. The trouble is, this a very human-centric vision of life on other worlds. Though life arose on Earth about 3.5 billion years ago, the proliferation of multicelluar life began relatively recently, about 600 million years ago. "When we say 'life' in just our everyday vernacular, people only really attribute that to animal life or plant life," said Sarah Rugheimer, an astronomer and astrobiologist at the University of St Andrews in Scotland. "By and large, they don't imagine a planet that's all microbial mats and microbes, which is honestly what most of Earth's history is." Why does this matter? Because microbes drive the basic composition of Earth's atmosphere, and that atmosphere has changed drastically over time. On early microbial Earth, the dominant atmospheric gases were carbon dioxide and methane. It was hardly a place for humans, yet very much full of life. Therefore, when we train our next-generation telescopes on Earth-size exoplanets, we must be prepared for a wide range of results—many of which could still indicate the presence of life, despite looking nothing like modern-day Earth. Scientists like Rugheimer, and her colleague (and former Ph.D. advisor), Lisa Kaltenegger, are already preparing for those results. With a new paper accepted for publication in The Astophysical Journal, Rugheimer and Kaltenegger are helping create a hypothetical guidebook to Earth-size exoplanet atmospheres. We have a pretty good idea of how Earth's atmosphere evolved over time, and how that corresponds to the appearance of different forms of life. And though life on other worlds may evolve differently, we can still use Earth's history as a baseline to help interpret what we see on Earth-size exoplanets. Rugheimer and Kaltenegger modeled Earth's atmosphere at four distinct points in history: before microbes (3.9 billion years ago), after microbes and the first rise of oxygen (2 billion years ago), during the second rise of oxygen (800 million years ago), and Earth as it is today. 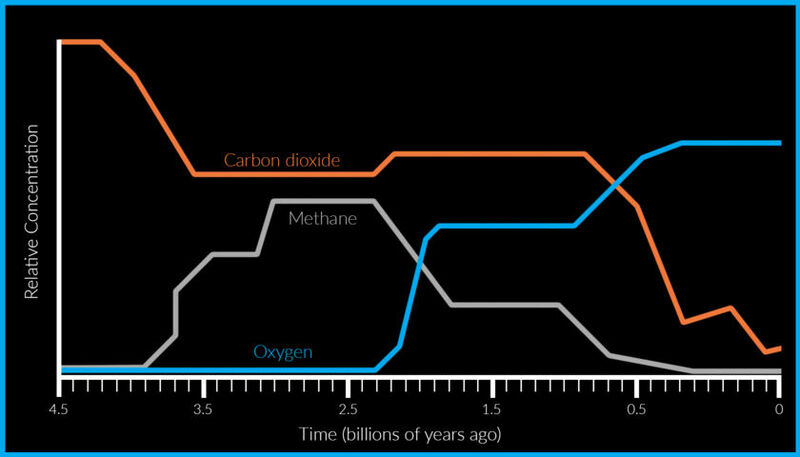 At each of these points, oxygen, methane and carbon dioxide were in drastically different abundances. The amounts of carbon dioxide, methane and oxygen in Earth's atmosphere have changed drastically over time. Adapted from Scientific American, "When Methane Made Climate" by James Kastings, original diagram by Johnny Johnson. Modeling Earth like this isn't a new concept; Kaltenegger, for instance, was lead author on a 2007 paper advancing some of these models. But in this new analysis, Rugheimer and Kaltenegger added an additional variable: star type. What if our hypothetical Earth 2.0 orbits a different type of star than the Sun? Different stars are different temperatures, so they heat atmospheric gases differently, changing their ratios. That means a planet's star type is a big factor in how an exoplanet's atmosphere develops, and consequentially, it will change what scientists see through the telescope. Here's what I mean. This graph, extracted and edited from Rugheimer and Kaltenegger's paper and edited by me for simplicity, shows the concentrations of different gases in modern-day Earth's atmosphere, at different altitudes—if Earth were located around different stars. Each rainbow stripe represents a different type of star, from F0V (hotter and more massive than the Sun) to M8V (cooler and less massive than the Sun). Notice how each star type affects Earth's atmosphere differently: For some gases like ozone (O3), the effect isn't drastic, and for others like nitrous oxide (N2O), there are big shifts. To re-state why this matters: we would expect a modern-day Earth around a red dwarf star (the red and yellow lines) to have different atmospheric gas ratios than a modern Earth around a Sun-like star (the dark blue line), because the two stars are heating the atmospheres differently. So models like this are an important part of the guidebook scientists will use to interpret what they see on other worlds. The red-and-yellow lines in particular are important because some of the first Earth-size planets we'll directly image orbit red dwarf stars. Red dwarfs are common, comprising about three-fourths of the stars in the Milky Way. They're relatively dim, making it easier to directly image orbiting planets. And since Earth-like planets around red dwarfs should have smaller orbits (they need to be closer to their stars to stay warm), they cross in front of their stars more frequently, making them more likely to be discovered by exoplanet transit surveys like Kepler and TESS (which launches this year). 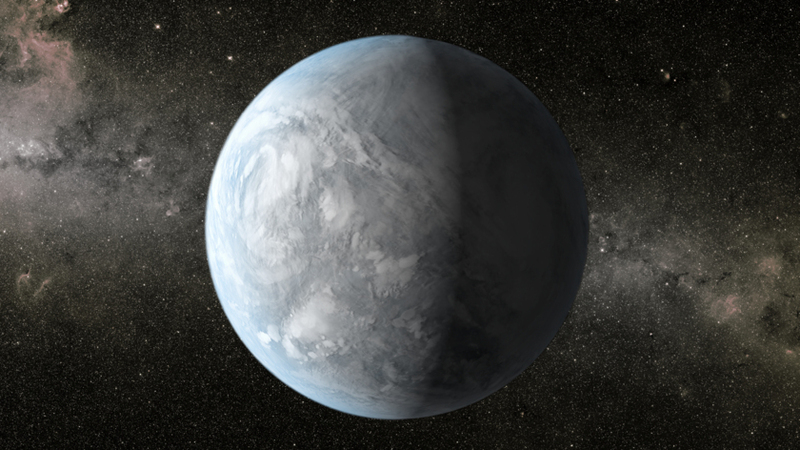 Artist's concept of Kepler-62e, a super-Earth located 1,200 light years from Earth in the constellation Lyra. It was discovered by the Kepler spacecraft. Rugheimer and Kaltenegger's paper repeats this analysis for each of the four points in Earth's history mentioned above. They also take the exercise one step further and consider two more variables that will affect what we see in our telescopes: surface features and cloud cover. This part is all about reflectivity. Oceans, continents and clouds all change the amount of light bouncing off a planet. Since an exoplanet will be tiny in the telescope, we can only estimate these variables in terms of averages. Rugheimer and Kaltenegger varied cloud cover, for instance, from zero to 100 percent to see how that affected their models (Earth is about 60 percent covered in clouds at any given point). Hypothetical guidebooks like this could be pressed into service as soon as 2019, with the launch of the James Webb Space Telescope. Rugheimer said JWST should be able to characterize around three Earth-size exoplanets orbiting red dwarf stars. The Extremely Large Telescope, which should be partially online in the mid-2020s, will similarly be able to directly image a handful of red dwarf exoplanets. And after that? We'll need even bigger space telescopes, or perhaps a starshade to block the light from exoplanets' host stars. The field of exoplanet research is still relatively young, and only promises to get more cross-disciplinary as we begin analyzing the atmospheres of distant Earth-size worlds. 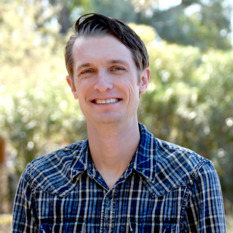 "You're not just considering a classical astronomy problem," Rugheimer said. "You have to think about how the geology, chemistry, and biology evolves, to make these models. You're really tying together a lot of science to answer this question of 'Are we alone in the Universe?' which is why I find it so absolutely fascinating." "...during the second rise of oxygen (800,000 million years ago)..." I assume you meant to write "800 million years ago?" After all, 800,000 million years would be 800 billion years. You really should mention in the caption of the picture of Kepler-62e that it's an artist's conception. When most of the content you publish is photographs from space, you need to be clear when you're publishing hypothetical renderings instead. Jake: Thank you for your comment. We have updated the description to indicate the image is an artist's concept.